Part I covers some motivations for a system like Apache ZooKeeper, and some of the necessary background in distributed systems that you need to use it. It explains the trade-offs made during its design. Part II (the most important one) covers the library calls and programming techniques that programmers need to know. Part III covers ZooKeeper for system administrators. Programmers might also find it useful, in particular the chapter about internals. What I appreciate about this book is the authors make it clear: ZooKeeper will not solve all of your problems and authors spend time discussing ways to deal with tricky aspects of ZooKeeper internals. Explanations are always crystal clear. Authors even take the time to review the various logs messages that occur when running ZooKeeper. If you use the previously cited tools or plan to use ZooKeeper to build a distributed algorithm, this book will teach you how ZooKeeper solves the classic coordination problem, how to use the Java and C APIs and how to be prepared to administer the tool in face of failures of the network, application processes, and ZooKeeper itself. 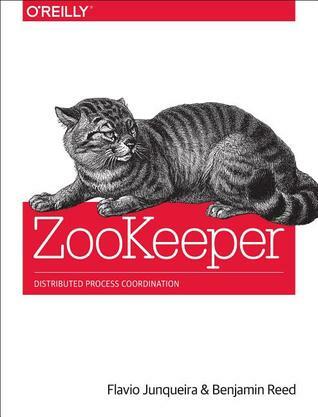 The authors give you enough background in the principles of distributed systems to use ZooKeeper robustly. The only prerequisite is a basic knowledge of Java. One of the best edited technical books I have read!